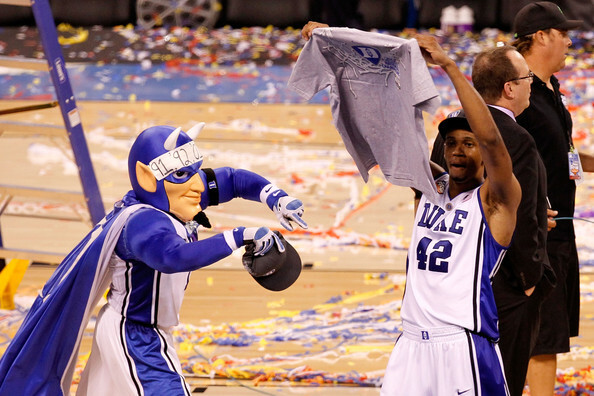 TODAY'S ACC HEADLINES: Bling Trouble For Duke? Lance Thomas, a starter on Duke's 2010 national championship team is being sued by a New York jeweler for not paying the balance of what he owes after buying $100,000 in custom jewelry that season. According to various reports, Thomas purchased five pieces of diamond jewelry at a cost of $97,800 on Dec. 21, 2009, in the middle of his senior season, according the lawsuit. Documents included with the suit indicate he made a $30,000 down payment and received $67,800 in credit from the firm, which caters to professional athletes. The nearly $68,000 balance remains unpaid. 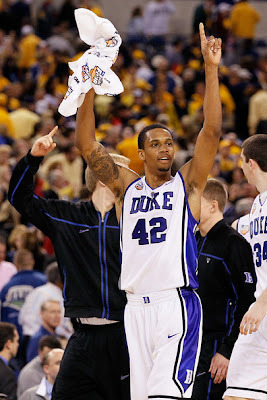 Thomas started 39 games at forward during the 2009-10 season, including the Blue Devils' 61-59 victory over Butler in the championship game. 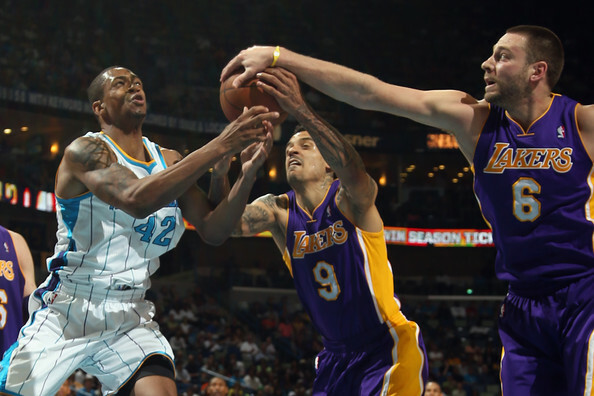 He wasn't drafted by an NBA team but played last season for the New Orleans Hornets. A Duke spokesman said the university knows about the lawsuit and is looking into it. "We have been made aware of a lawsuit filed by a jeweler against former men's basketball player Lance Thomas and we are currently looking into the matter," said Jon Jackson, the school's associate athletic director for media relations. NCAA spokeswoman Stacey Osburn said the organization also is aware of the matter and is in communication with Duke. NCAA rules regarding amateurism prohibit athletes from receiving benefits that aren't available to all students. Speaking generally, Osburn said "the test" for such a violation is whether "the general student body, or someone similarly situated, would be able to get the same benefit or treatment." Thomas, 24, is from Scotch Plains, N.J., and played at prep power St. Benedict's, according to his biography on the Duke website. The site said his mother is a manager at a Ford plant in New Jersey. John Spencer, an agent who has represented Thomas, said he wasn't aware of the jewelry purchase. He referred all comment on the lawsuit to an Austin attorney who is representing Thomas in the matter. The attorney didn't return phone messages from the AP. Rafaello & Co., which also does business as A+A Diamonds Ltd., promotes itself as a "deluxe" jeweler. Mike Bowers, the firm's attorney, said Thomas purchased a black diamond necklace, a diamond-encrusted watch, a pair of diamond studs, a diamond cross and a black diamond pendant in the shape of Jesus' head. According to the purchase order, signed by Thomas, the player agreed to pay a deposit of at least 25 percent of the purchase price and the remainder in 15 days. Bowers said he was unaware of how Thomas made the required down payment. To read more about the potential fallout, click here.